I have wanted to write this post for quite a while about the Unique Learning System. For most of my career working with schools, I have asked the question of training audiences regarding what curriculum they use in their special education classrooms. Prior to NCLB particularly, I often got back the response that most educators viewed the IEP as the curriculum for their classrooms. Given that IEPs are designed to enable students to access the curriculum this really means that either every element of a curriculum would have to be written into the IEP (making the documents even longer than they are), or these classrooms were teaching individual goals without the context of a curriculum and standards that needed to be met. With the advent of NCLB and accountability, most teachers now indicate that the state standards are their curriculum and the states’ alternate assessments are based on the standards. However, for students with severe disabilities, the distance between their abilities and needs and the standards is significant. In addition to trying to link the standards to activities that are within the learning capabilities of students with severe disabilities, finding activities that are age-appropriate but developmentally appropriate, and are meaningful to long-term outcomes for these students is a significant challenge for teachers. Because of these challenges and because teachers usually have a significant amount of work in creating activities that meet the needs of their students, I have always been on the lookout for good scope-and-sequence tools (i.e., curriculum-based assessments) and tools to help teachers develop appropriate curriculum-based activities to avoid having to make them. I am happy to say that the Unique Learning System can help to meet both of those needs. Many of you may be familiar with News2You, which is a symbol newspaper that has been a great classroom tool for individuals with severe disabilities, including autism, focusing on current events. 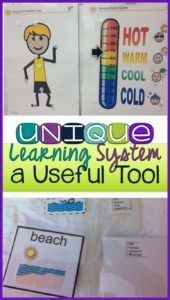 A few years ago, the N2Y company developed a thematic curriculum called the Unique Learning System. The curriculum is based on the core standards or state standards. There are also links for the state standards for those states that have not yet adopted the core standards in all areas. I have been using the Unique for a few months and have loved it. The Unique uses themes based in social studies and science and embeds reading and math skills into the content. There are leveled books with comprehension questions, a word wall, spelling words, counting, surveys, patterning activities, science activities, art projects, games, and cooking activities all focused on the monthly theme. There are 9 themes (September, October, November, January, February, March, April and May) with holiday activities in December and a summer unit for the summer. The picture supports for activities are already made and available in a pdf file for download and printing. There are worksheets as well as manipulatives that are related to the themes (e.g., vegetable pictures for counting in the unit on plants we eat). The cost of the subscription for a year is very cheap ($399/year per class at the time of this post) but you do have to add printing and laminate to the cost and it will still take time to create the materials. However, once made the materials can be used again in the future. Update: Since this was written, ULS has added a number of interactive materials that can be used on whiteboards, with projectors, computers or tablets. This reduces your need for as much printing. The content is designed for students taking the alternate assessment and who are identified as Level 1, Level 2 and Level 3 learners. Level 1 learners are typically students who would use a switch or other type of technology to participate in the goal–similar to the “participatory” level in the Florida alternate assessment. Level 2 students typically point to pictures from choices to respond to questions, similar to the “supported” level in Florida. And Level 3 students, similar to “independent” students in Florida, are able to read and identify the correct answers. The curriculum has assessments that allow you to assess your students to determine which level is the best fit for each student. In future posts I will focus on the assessment elements of the Unique, how it aligns with alternative assessments, how to organize the materials, and samples of what you can create and how to use it in lesson plans. In the summer, you have the opportunity to review and try out the summer unit of the curriculum, including the newly added preschool band for free! You can review the webinars that they offer to get more information, including information about how to get started if you have purchased it. Update: Since this post was written I’ve written several other posts about the Unique Learning System. I'm using ULS at a small private school. My grade band is Middle. We were using Reading Mastery and we have brilliant readers (in a school of mild to mod dev disabilities). We broke into ability levels for math and reading and the teachers were able to zone in on specific issues in the small groups of 6 to 10 students. I just can't seem to get a handle on teaching 12 stuents together that are at 3 different levels, even with a co-teacher we struggle. I feel ULS is lacking in vocab, spelling and math. We (the teachers) were told that plans were in place and all we needed was to teach. That is not the case, as we are supplementing more than we are using ULS. Scaffolding is lacking. What I do like is the Symbolstix and the news2you(which we do not subscribe to). I like the work sheets that go with the reading, however, the word banks at the bottom of the page are a problem. With visual tracking issues such as many of our students have, it is common sense that the words should go at the top. In addition, their hands/arms are covering the words when they are writing. The math has little substance to it. I would like to know how you do organize your materials. I guess I don't see the ULS as something that replaces specialized curriculum. I think you still need scientifically based reading and math programs, but the overall general ed. content standards are adapted through the Unique to practice and generalize reading and math skills along with social studies and science at a level that is appropriate for the students. I think your idea of dividing up the students into small groups based on ability level makes complete sense and is typically the way I would set up the classroom for reading and math and other explicit instruction times of the day (in comparison to times of the day that focus on learning in a group and communication with peers which might be larger group activities). I don't think of the ULS as being all you need to teach a special education classroom, but as a tool that integrates the elements of instruction. The students in a special education classroom still have individualized needs that have to be met that will require specialized instruction. This will require using other instructional strategies and methods with the ULS. I'm interested to know if any of the ULS folks have comments on this. The post above this one has information on organizing materials and as I come across other examples across the year, I will share them as well. I agree with the post above. I didn't see that this program allows our students to use higher order thinking either. It seems that the same materials and the way the materials are used is repetitive and doesn't progress. I am not sure how this will help students progress in educational skills. I see how this is a benefit to teachers who need help and guidance in developing a curriculum or needing some materials, but not on helping students to make strides in their educational growth. Also, I think that it would be helpful to have grade level reading materials that align to novels read in general ed, but in a modified text. Maybe this program has it but I haven't found it yet. Just saw your visual for the thermometer with warm, cool, hot etc. Do you have that somewhere where I can print it? I have your weather kids but would love the thermometer to use as well. By the way, I love the Structured Work System Bundle. I've used this and other products in my classroom. They are wonderful! I don't have google or url so I'll sign as anonymous but I'm a facebook follower and a middle school special education teacher in NH. Thanks for commenting. This thermometer is actually part of the Unique Learning System's materials, so unfortunately it's not mine to give out. It comes with the curriculum as part of the morning meeting materials. I'm glad you are enjoying the other materials and thank you so much for sharing that! Does anyone know if there are trial programs available? I haven't been able to find anything. There is a trial program available, however it's only for the summer. I've used the summer month package for ESY (Extended School Year) Absolutely loved it. Now I'm trying to decide which is better the ULS, or the weekly N2Y newspapers. I am a high school teacher and am in search of a math program that aligns with extended standards. What would you suggest? It really depends on which extended standards you are looking at. There are no national extended standards and every state's are slightly different. Depending on the level of student, many of my districts have used Voyager (http://www.voyagersopris.com/curriculum/subject/math/vmath-third-edition) really successfully with students. If that's too high, you really end up with Touch Math or other combinations of curricula tied to the extended standards. Unique is tied to the state standards and can be used in relation to most extended standards–although it has math practice (I'm not sure I would rely on it to teach math skills). Hope that helps. 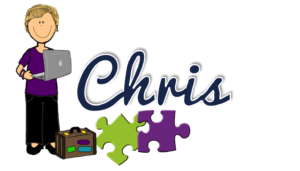 As a new special ed teacher in IL, I first wanted to thank you for all of the support provided through your blog! This fall I will be teaching K-2 resource and wanted to get your professional opinion about whether the unique curriculum would be effective as a supplemental intervention program, (as my students will only be in my room for ELA and Math in the morning) or if it is more designed for a self-contained room. Any advice you could give would be appreciated! That's a really good question. It really depends more on the level of your students than the placement / room they are in. The big question is are your students on alternate standards (taking alternate assessment)? If so, then the ULS could be a good tool for them. If not, then it probably is the right one as it is a modified curriculum. I would suggest going to the ULS/N2Y site and downloading the summer unit to see if you think it would work for your students. It sounds like maybe the News2You newspaper program might be more adaptable for what you need. If you are just pulling kids out for extra help in reading/math, then ULS may be more than you need. I hope that is helpful. It's always hard to know about these things without knowing the situation. Let me know if you have more questions and best of luck in the fall! I”M in Pennsylvania and am looking for materials that follow the alternate academic content standards. 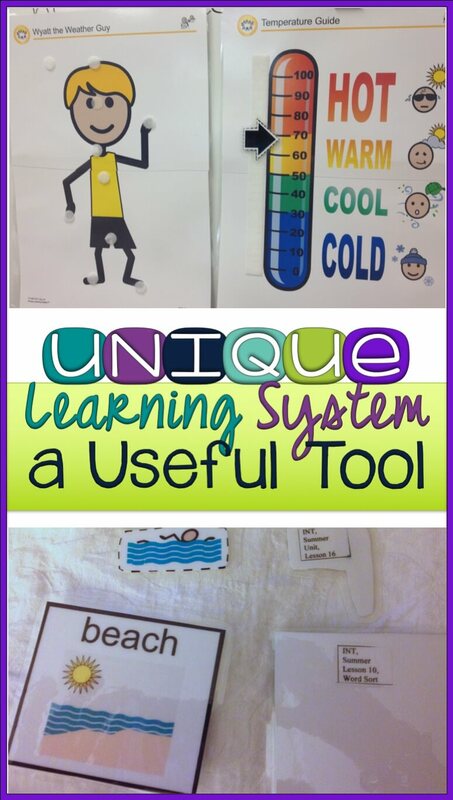 Does the ULS system provide materials to use for instruction? Or is is a program that students log into for instruction( e.g. mobymax) ? 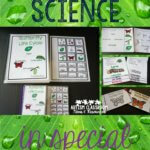 The ULS provides printable products for instruction for a new theme each month. It also has an assessment system that can be used on the computer and materials that can be used on the computer or interactive white board. Hope that helps! Hi! I teach 3-4 self-contained special ed. I’m wondering if the curriculum would be appropriate for the students in my classroom. I have students who are 2-3 grade levels below in reading, writing, and math, but I also have students who are only a grade level below, all in one classroom. 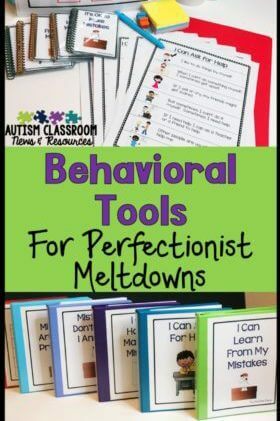 This sounds like it would be a good way to possible group students based on their instructional needs, and help support my students who have autism. Next year my school will begin integrating science and social studies into the reading and math curriculums. Would unique help support grade level content at 2-3 grade levels below? I think my biggest question is if Unique is more geared for life skills, or is it appropriate for self-contained students, too? Absolutely the Unique is made for students who are typically on alternate standards and need significant modifications of the curriculum. 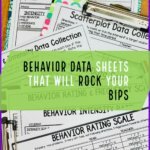 There are bands for each grade level and each band has 3 levels so that it can be used with the lower functioning and the higher functioning students –although it won’t work necessarily for students on grade level standards. I hope that helps. Unique also typically has a summer unit they offer for free…that’s a great time to download the unit for the grade levels and play with it to see how it works and if it’s for you. Let me know what you think if you try it! Gotta say, your blog is amazing. I’ve been on here for almost three hours bouncing from link to link in your posts, and then navigating my way back to your original post. So much of what I’ve just read has clarified what I’ve been trying to teach myself over the last two years. Question 1) is news 2 you almost a PEC version of time for kids? As in weekly article to read together and discuss for a week? If so, are they current events? Question 2) is unique a themed monthly unit that never repeats even year to year? So if I use it this year in a whole group, is it garbage for next year with the same kids cause I’ve already covered that topic? Question 3) school budget is limited. We use AFLS so I’m leaning toward Murdoch and News 2 You….or raise additional funds and go for Unique. Recommendations? Hi. I love love love your blog!! I am currently looking into purchasing materials for a brand new life skills classroom. I have some wonderful students and I am in need of some resources and curriculum ASAP! I’ve been looking into unique and I was also wondering if the themes repeat year to year…would I be able to use it over the course of a few years? I have some students who are nonverbal and working on letter identification and some students who are working on blending, do you see unique as being a product that could be used for these students? I am a new life skills teacher in a new life skills class and need something to use as a starting point. I want to make sure unique would be a good fit before purchasing. Hi. Yes, the Unique would be perfect for your students–that’s exactly who is it is designed for. As for themes–I believe they rotate themes every 4 years, but you can preserve the materials and re-use them with students you haven’t before. It just depends on whether they would be doing the same theme they did last year. 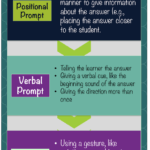 Hope that helps–good luck with your classroom! I would use the ULS everyday for certain activities and implement reading and math curricula in addition. I use the ULS as a framework for group instruction and teaching the gen. ed. standards. Our district just adopted ULS. I love N2Y but think the curriculum ULS is horrible. I’ve taught for 26 years and have developed many of my own units. I can’t stand the waste of paper for math concepts. Really four problems per page! As for the reading, I shutter to think that teachers believe this will teach kiddos to read! The themes are ok, but they are not sequential for history. High dollar product that was been pass produced. I”m sorry that it didn’t work for you. I know that many of the units can be used on projectors and computers eliminating the printer issue. You can also print them with multiple sheets to a page if your students can manage more text. Some students need the larger type. It does work for many teachers but thank you for sharing your thoughts. What is the specific purpose of the transition band? It’s designed to prepare students for adulthood. Typically it’s used for 18 to 21 year olds to prepare them for work and community living. The News2You company can probably give you a more complete answer than I can.